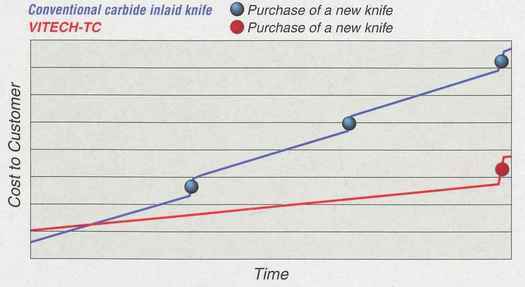 Due to the superior performance, the Kanefusa VITECH-TC knife is more cost efficient than any other product on the market. 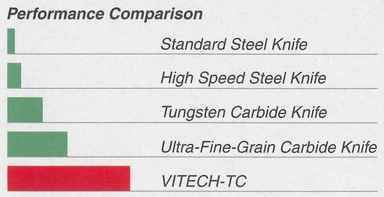 VITECH-TC knives will outperform standard carbide knives by 2 to 3 times. Grinding costs will be reduced because of the enhanced performance of VITECH-TC.